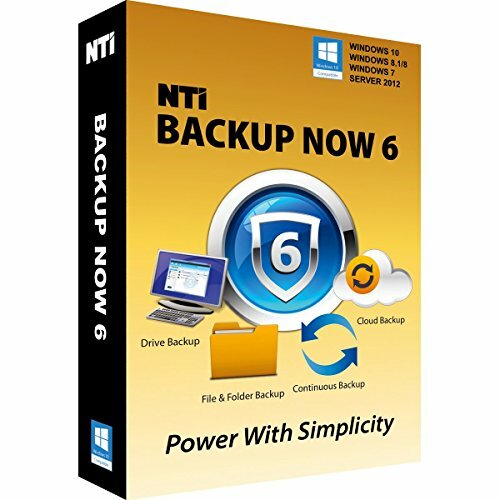 NTI Backup Now 6 (1-PC). The "Best Buy" Award-winning Backup Software for Office PCs. Product prices and availability are accurate as of 2019-04-18 14:59:50 EDT and are subject to change. Any price and availability information displayed on http://www.amazon.com/ at the time of purchase will apply to the purchase of this product. Backup Now Pro is rich with advanced features but at the same time easy-to-use. Advanced Features: Backup Migration; Drive Spanning; Incremental backups for Complete System and File & Folder backups; Pre/Post Job Scripting; Advanced File Filtering; Remote Backup of other PCs on the Network; Secure 256-bit AES Encryption and Data Compression; Email notification after backup; Advanced backup scheduling; Automatic Shutdown after backup. Supports a wide range of destination including internal/external hard drives, flash drives, SSD, NAS, optical drives & network drives. 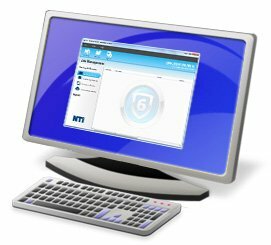 Cloud Backup -Off-site backup to NTI Cloud for extra protection. Gives you 24/7 access to your data from anywhere in the world with Internet access. File & Folder Backup -My Profile tab makes it simple for you to select important files to back up. My Folders tab gives you a standard file and folder tree view of your PC that allows you to choose specific files and folders. PC Backup -Backup Now 6 will back up your entire PC and when needed will quickly restore your PC back to when it was last working correctly. 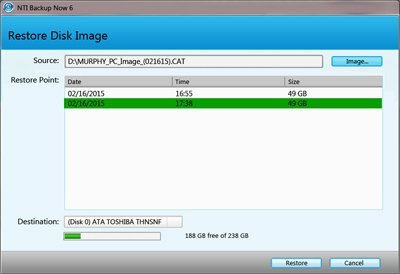 Just boot up from an Optical disc, USB flash drive or USB hard drive and select a restore point, the restore process will automatically prepare your replacement drive by partitioning, formatting, and then restore all of your computer's data. It will even resize your partitions to fit onto the replacement drive. 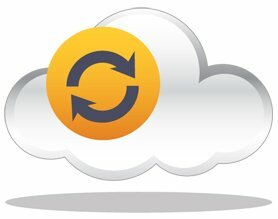 Remote Backup -Using a designated PC (Backup Server) you can easily back up other PCs on the same LAN. Simply install Backup Now 6 on the Backup Server and on each remote PC (Backup Client) you want backed up, the Backup Server will be able to back up all the remote PCs automatically. An ideal solution for IT department to ensure everyone's PCs are backed up properly.